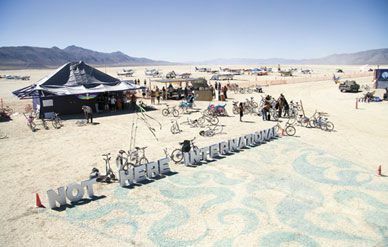 Watch the Burning Man revelers pull an airport out of the desert…then make it disappear. Then, on Sunday, she woke up early and took one last look around the deserted lakebed. Satisfied there was no more trash to pick up and nothing left to do, she hitched the office trailer to a van and drove off slowly, leaving nothing but dust in her wake.